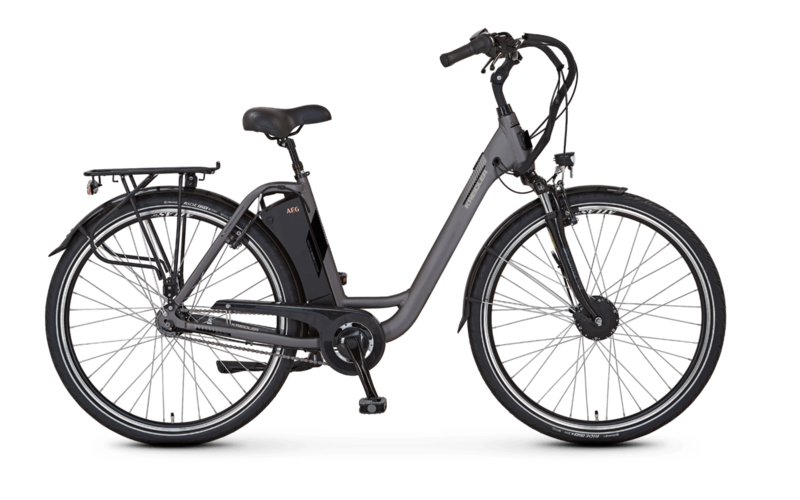 This e-bike is an affordable entry-level model that convinces in terms of stability and comfort. The aluminium frame impresses with its high stiffness and the clever mounting of the battery behind the seat tube. This "Smart Accu Position" ensures a lower centre of gravity and therefore better handling - in combination with the low entry so you can on and off your bike comfortably. The wheel is also pleasing visually: The stylish design and elegant colouring make it an eye-catcher everywhere you go. Comfort is provided by the Suntour suspension fork and a spring-loaded seat post. So biking with the Kreidler Vitality remains a pleasure, even on longer tours. In addition, the integrated AEG front motor guarantees rapid advancement at all times, e.g. when ascending or in annoying headwinds. We rely on proven Shimano quality for this bicycle with the Nexus hub gears. And dynamic driving fun and high puncture protection are guaranteed thanks to the Kenda city Ride tyres.